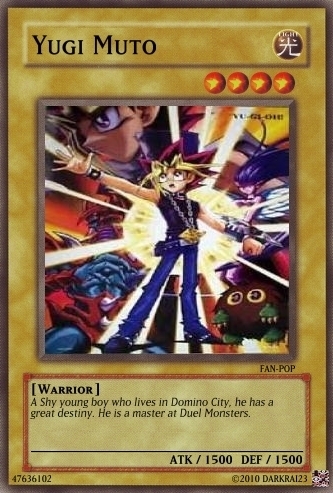 Character Card: Yugi Muto. No, it isn't Pegasus this time. He just has his own card.. Wallpaper and background images in the Yu-Gi-Oh club tagged: yugioh anime yu-gi-oh atem yugi custom cards. No, it isn't Pegasus this time. He just has his own card.